One of the most popular pages on our web site was this interactive color quiz. Match the color name to the color and see your score. 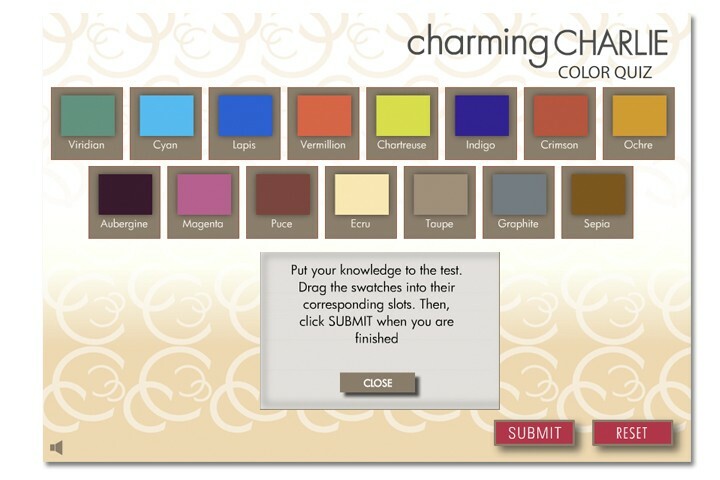 Given that Charming Charlie is all about colorful accessories, this quiz was brand relevant, educational and fun!